The oil cleansing method is a method of face washing where you use natural vegetable oils to cleanse the skin, providing balance to your skins’ natural oil production. This method can be explained by one of the most basic principles of chemistry, “like dissolves like.” I know, it sounds crazy, but it really could be the best thing you could ever do for your skin. 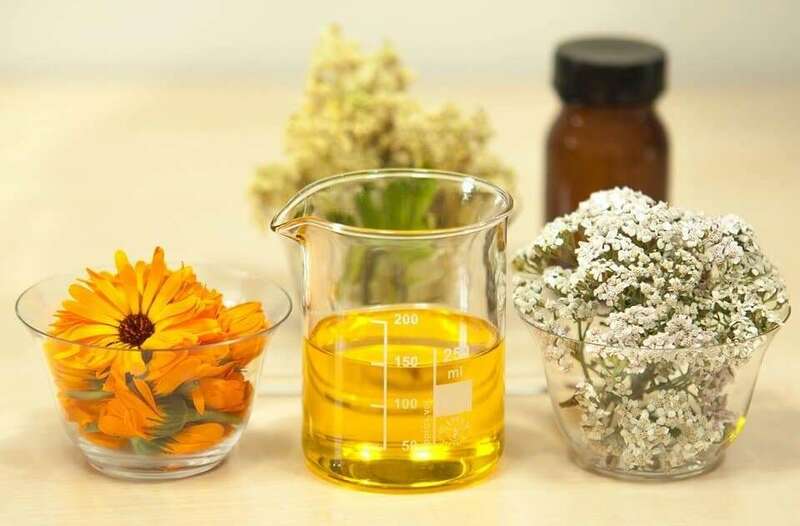 The basis of the oil cleansing method is that the natural oils massage your skin and dissolve oils and impurities that are trapped in your pores. You then remove the oil by using steam to open up your pores. The steam pulls the oil out of your pores and you are left with clean, fresh skin. The oil cleansing method is much better than traditional face washes which essentially strip your skins’ natural oils away. This causes tight, dry skin with an overall imbalance of where your skin should naturally be. In some cases, these face washes can even cause more pimples. This is because when your skins’ natural oils are stripped away, your body overcompensates on its oil production, creating oily skin which can lead to acne. On top of that, most face washes are scented, unnatural fragrances are one of the worst irritants to your skin. These face washes create a vicious cycle for your skin. So what oil should you use? The most popular and effective oil that you can use for the oil cleansing method is Castor Oil. Castor oil has amazing healing and cleansing properties, as well as anti-inflammatory properties. Castor oil alone can leave your skin feeling dry because it is very thick with such strong cleansing abilities. Because of this, you must dilute it with a second oil. Some popular choices are sunflower oil, olive oil, safflower oil, or coconut oil. Try these different oils and decide which is best for your skin type, my favorite is sunflower oil. You will want to make your blend based on whether your skin is oily, balanced, or dry. If your skin is oily : Use a blend of 30% castor oil and 70% secondary oil. If your skin is balanced : Use a blend of 20% castor oil and 80% secondary oil. If your skin is dry : Use a blend of 10% castor oil and 90% secondary oil. Start with these ratios and adjust if needed. Remember the more castor oil you use the dryer your blend will make your skin. So if your blend leaves your skin feeling a little too moisturized you may want to add more castor oil. If your skin is feeling a little tight and dry, try adding a little more of your secondary oil. Make small amounts (4 to 6 oz) of your blend and store in a convenient bottle, once empty be sure to wash out the bottle. It’s important to prevent bacteria from getting in your blend. Try adding some essential oils to your blend to increase skin loving properties and to make it smell fantastic! To begin the oil cleansing method, you will need a wash cloth, your oil blend, and hot running water. Be sure to pull your hair completely out of your face so it doesn’t get any oil on it. The oil cleansing method removes all makeup, even mascara, so don’t worry about taking that off prior. BONUS, natural oils are known to promote healthy, longer eyelashes! Start with a quarter sized drop of the oil in your hand. Rub your hands together to warm the oil. Rub the oil all over your face, gently massaging into your skin. Do not rush this, the oil needs to sink down into your pores to grab ahold of those impurities. Continue massaging, focusing on your problem areas. Once you feel that your pores are saturated with the oil. Soak your washcloth in the hot running water. You don’t want the water so hot that it’s uncomfortable, but it needs to be warm enough to steam and soften your pores. Hold the wet washcloth up to cover your face. Once the cloth cools, wipe your face gently and then rinse the washcloth under the hot water again, cover your face again until it cools. Repeat this 3 or 4 times total. You will feel your pores open up and soften as the impurities steam out. Resist any urge to scrub your skin. Once finished if your skin feels tight, take a tiny drop of your oil blend to moisturize your damp skin. Or try Jojoba oil, it very closely resembles our skins’ natural sebum which makes it a great lightweight moisturizer that doesn’t cause the skin to feel oily. With the oil cleansing method, your skin may go through an adjustment period while the impurities are leaving your system. Stick with it and after a few days to a week your skin will balance out. Then you should start to see your skin clearing up, leaving you with supple, glowing skin!